S’no Joke is a ski club first and foremost and our members enjoy great times and create lasting memories downhill skiing, snowboarding, cross-country skiing and snowshoeing. 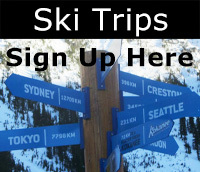 We run trips throughout the ski season, one day and multi-day trips including one international ski trip per year. AND there is more … we live in an outdoor person’s paradise and we roll from the ski season right into spring, summer and autumn activities. 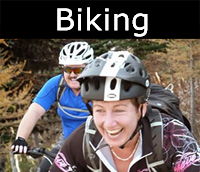 Check out our hiking, road biking, mountain biking, golf and water sports sections. 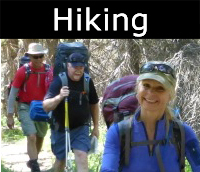 Our calendar is full of fun and varied outdoor activities all year round again day and multi-day trips. Finally, if none of that appeals then just come along and join in some fun social gatherings where we enjoy good food, wine and conversation. 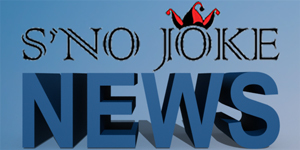 Welcome to the S’no Joke website, your portal to year 'round sports, recreation and social activities. Members login to the website to catch up on current club news, sign up for trips, make payments, find activities and events; view the membership directory, share photos and much more. For those of you who are new to the club, visit frequently asked questions to find information about the club, how to use the website, and answers to frequently asked questions such as how to opt-in or out of activity updates. 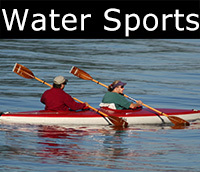 Be sure to check out our hiking, road biking, mountain biking, golf and water sports sections. 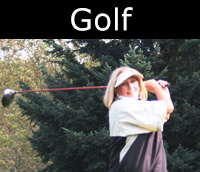 Our calendar is full of fun and varied outdoor activities all year round again day and multi-day trips. Our monthly meetings are held on the first Monday of the month and is a great way to meet other members. Check the events calendar for the date and time, or read more on the Monthly Meetings page. Finally, if none of that appeals then just come along and join in some fun social gatherings where we enjoy good food, wine and conversation. 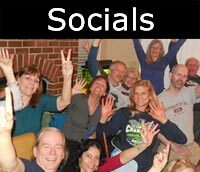 We look forward to meeting you at one of our many socials, on one of our multi-day trips, a day trip or one of our many other activities. 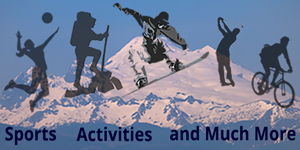 Members - Login to see more events, news, trip reports and other updates! Explore more S'no Joke sports and activities by clicking on the links below.